Technology continues to revolutionize healthcare and we have entered an exciting new frontier of state-of-the-art gadgets and high-tech communication systems. Some of these changes are made possible by our growing ability to utilize big data to improve outcomes through the field of health informatics; others by awe-inspiring advancements in medical science, telecommunications, and even robotics. EchoNous Vein is designed for Nurses inserting peripheral IV catheters by providing an immediate and clear image of veins using just two-button controls. The easy-to-use device also includes optimized settings for use with adults and pediatrics. 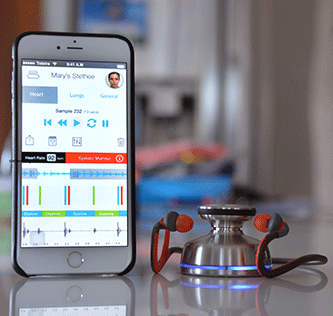 The newly launched, FDA-cleared Stethee Pro features technology to capture and analyze heart and lung sounds and data via Bluetooth, operating around smartphone applications for both Apple iOS and Google Android devices. “The Stethee system has the potential to transform healthcare. We are on the forefront of a new era in healthcare driven by artificial intelligence and its ability to significantly improve our ability to care for patients. This innovative technology can significantly help drive efficiency and productivity and empower healthcare providers worldwide by providing real time data and clinical interpretation" Dr. John Sperling of the Mayo Clinic said in a press release. The company Admetsys has created a solution that can constantly monitor blood sugar levels in real time. Its artificial intelligence algorithm then triggers its software to either administer glucose or insulin via the drip that a patient is connected to. The drip is connected to a screen. The screen shows the metrics for the patient. "It is a laboratory on a chip. This is what will be able to replace what is in the laboratory," Timothy Valk, co-founder of Admetsys, told CNBC. "This device was suggested by Nurses. The Nurses' workload is astronomical. They need to be doing other things that are more appropriate for them, than running in and manually doing a glucose or drawing blood, their time is costly," Valk said. Hospitals are implementing the AvaSys TeleSitter video-observation system to improve patient safety and lower staffing costs. "The thing I was really skeptical about was, will this make a difference? But the [system] really does work in 99 percent of the cases. It's amazing when you see it in action" said Terry Olinger, President of the Hospitals and Clinics Acute Care Group at Benefis Health System. The AvaSys room unit is offered in three options. A mobile cart, a portable wall-mounted unit or a permanent ceiling unit. 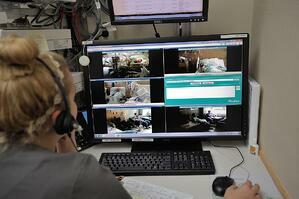 It lets a single monitor technician keep tabs via video on up to 12 patient rooms from a command center. The command center is located at Benefis in the patient flow center. The monitor tech can use the two-way audio to immediately intervene when a patient is at risk of self-harm, such as a fall. The monitor tech can talk to the patient to verbally redirect them. If the situation is emergent, the tech can activate an alarm and a Nurse will know to get there right away. Overall, AvaSys helps improve staffing efficiencies by allowing Nursing assistants to stay on the floor instead of watching patients 1:1. Joe Novello is a Registered Nurse and wanted to create a scheduling solution specifically focused on the needs of his peers. So he founded NurseGrid in 2013. With NurseGrid, Nurses are able to digitally “raise their hand” so hospital managers know they’re available for extra work, or they can signal that they’re not looking for shifts. There are other companies in the Nurse scheduling space, including McKesson, Cerner Clairvia and GE Healthcare Centricity. Novello says the other products began as online software then moved to mobile, while NurseGrid was developed as a mobile app and has a better interface. His product also provides real-time shift changes, while other software is focused on time keeping and building schedules. By 2020, usage of mobile devices is expected to grow by 40 percent for all hospital workers. 98 percent of alarms or alerts from patient monitoring equipment, electronic health records (EHRs) and biomedical devices will be accessed through a mobile device by 2022. In four years, 91 percent of Nurses could access EHR, medical and drug database references (92 percent), and lab diagnostic results (88 percent) using a mobile device. The use of mobile technologies could reduce 46 percent of preventable medical errors and care issues caused by the breakdown of communication by 2022. 77 percent of patients reported positive feelings toward clinicians using mobile devices in their care. 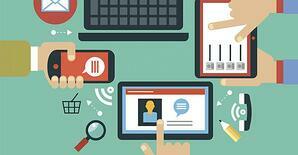 95 percent of patients are willing to share electronic health metrics with clinicians. In medicine and healthcare, 3D printing could not only revolutionize drug creation and the production of medical equipment, but it could also offer new methods for practicing medicine, optimizing supply chains, and propose cheaper and more personalized medical services. So what are some good examples? Let's take a look. Ian McHale, a senior at the US Steinert High School created a blueprint for producing finger splints. Prosthetics and implants can be 3D printed. Dutch surgeons replaced the entire top of a 22 year–old woman’s skull with a customized printed implant made from plastic. Scott Summit 3D printed a cast for himself, becoming perhaps the first patient ever to have a shower with a cast on, but without a bunch of plastic bags wrapped around it. His physician could open and close the cast in seconds and it still held his wrist tightly. And it cost Scott around 50 dollars and a few hours to create. A network of volunteers called the e-NABLING the Future project, share 3-D printing designs, video tutorials and other information about building prosthetic hands which enables volunteers, Doctors, Nurses or anyone in the field to make a difference by literally “giving a helping hand” to those in need. Researchers at Harvard University were the first to use a custom–built 3D printer and a dissolving ink to create a swatch of tissue that contains skin cells interwoven with structural material that can potentially function as blood vessels in the future. James Yoo at the Wake Forest School of Medicine in the US as well as researchers at the University of Madrid have developed the prototype of a 3D printer that can create synthetic skin. 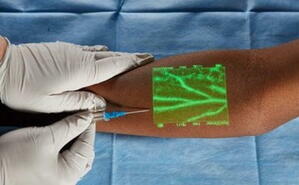 It is adequate for transplanting to patients, who suffered burn injuries or have other skin issues. Organovo successfully bioprinted liver tissues already in 2014. They seemed to be 4-6 years away from printing liver parts for transplantation. Bioprinted livers could also be used in the pharmaceutical industry to replace animal models for analyzing the toxicity of new drugs. A few months ago, Organovo launched its second commercial product, bioprinted human kidney tissue. The company suggests that within a decade we will be able to print solid organs such as liver, heart, and kidney. 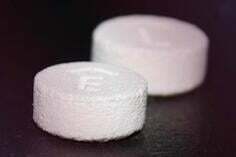 Last year, the FDA approved an epilepsy drug called Spritam that is made by 3D printers. It prints out the powdered drug layer by layer to make it dissolve faster than average pills. The technological advancements happening in healthcare today are truly life changing for both providers and patients. Whether it's a 3D printer creating a model of a person's heart, or a chip monitoring a certain disease, there's no doubt the future of medicine is heading in an exciting direction. We look forward to hearing your thoughts and ideas on medical advancements.